Not long to go now to the UK’s leading arable event, Cereals 2016, where we are exhibiting again. 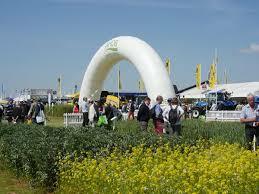 Looking forward to meeting growers and agronomists from the UK and overseas. Always a great event to exhibit at, not just to talk to new and existing customers but more importantly for me – to listen! We get a great feel for the arable industry at this event and views on the immediate future of farming from the people that count on the ground. We are running with our farm promotion throughout this season plus handing out case studies and also information on further important trial work continuing. Please call in to see us on stand 452.